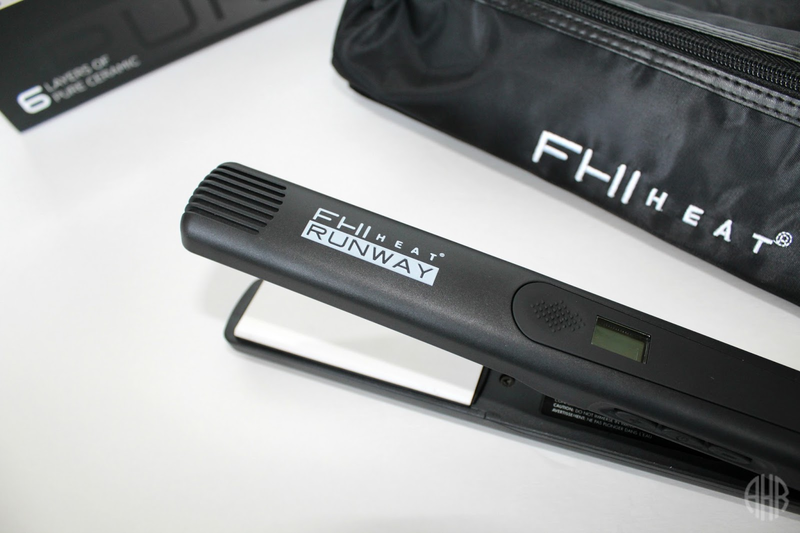 For stylists who expect nothing less than perfection, the FHI Heat Runway styling iron is the only choice. If you want the absolute best results, if you want to make a statement on the stage, the catwalk and the red carpet, you want the Runway. With 6 layers of pure ceramic plates and a specialized heating system that provides instantaneous heat recovery and consistent temperature throughout the entire plate, FHI Heat’s signature styling iron will take your finished looks to the next level. Packaging - I love the packaging of the FHI Runway. Like all FHI flat irons, it comes in a study magnetic closed box. Inside the box is a carrying case with a heat mat attached to it as well as the flat iron. Now, if you follow me then you know that I had a few concerns about the packaging initially. Check out that post HERE. Design - The plates of this flat iron are 100% ceramic unlike other flat irons and their pure white in color. The rest of the flat iron is matte black. Performance - This flat iron straightens my hair really well. Also, in the past, I had an issue with FHI flat irons not straightening my roots. However, this flat iron straightens all the way to the roots and my strands straighten well. On the other hand, I don't notice a difference as far as number of passes through my strands. I passed the flat iron through my hair about 3-4 times per strand. Sometimes more depending on how rough my sections were...I know scary right? But, I had no heat damage after wash day! NONE!!!! Also, I had no lingering burned hair smell after wash day as well. Also, the texture of my hair is softer with this flat iron versus the old flat irons I've used and my hair stays straight until I wash it again. Keep or Toss: Hiding it on a high shelf ...in the very back...to avoid dropping it and chipping the ceramic plates. I will post more pictures by Sunday. I'm out of town and this is why the post was late. New Post Every Monday & Friday!